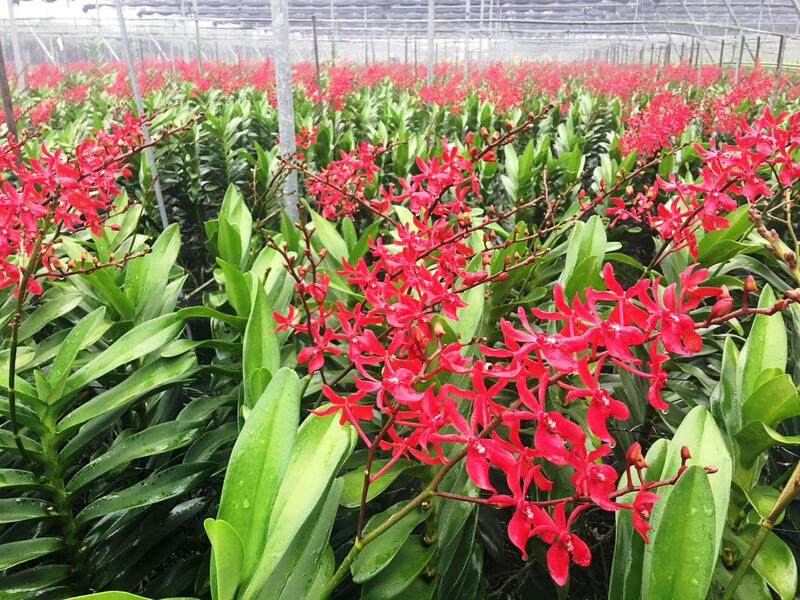 The predecessor is the famous tropical bamboo orchid export of the heart of the heart of the heart of the station, small beautiful angel garden leisure farm, was born in early 2015. 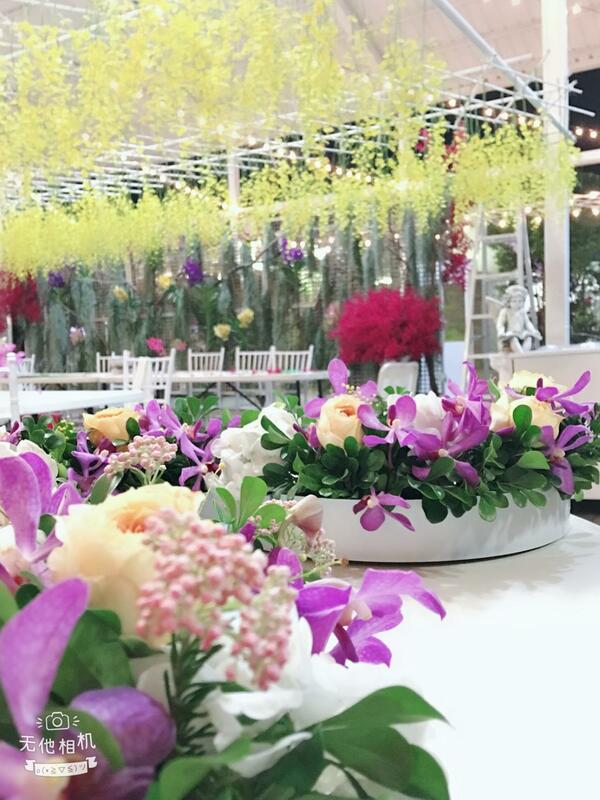 Inherited more than 20 years of orchid experience, showing both aesthetic experience and knowledge of the transmission of new world, sharing flowers for people to bring the charm of life and life moved. From the entrance to the sound of the bell began to sound, all the way along the crystal clear waterway, leading you into the British like a white garden. 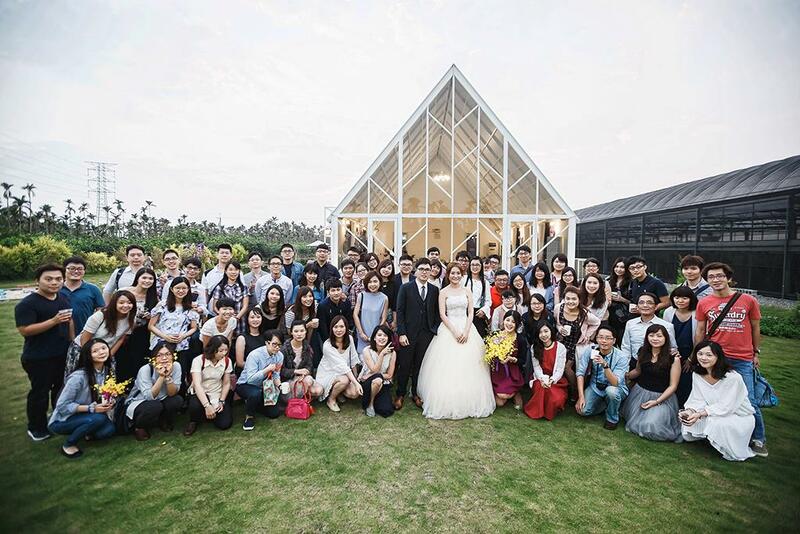 A beautiful floral arrangement, purple angel dining table cottages, church-style white angel college, and the huge landscape pool pavilions, woven into a scene of romantic scenes. Love the dance of the yellow text Xinlan, contests of the million generation of blue and thousands of generations of blue and so on ... flowers, shuttle in the park every small corner, together for the plains under the Wased mountains, makeup on the colorful colors. Travel to the garden! In addition to feel the floral space to bring the elegance and joy of life, but also taste from the local food without borders. We hope that by the flower explanation, peace of mind, floral, conference, wedding layout, outdoor wedding, family play sand, hand DIY, etc. ... a number of services, with you to understand the mysteries of orchids and nature, integration and use of a new generation of agricultural technology , To convey the joy of tropical orchid joy to you! 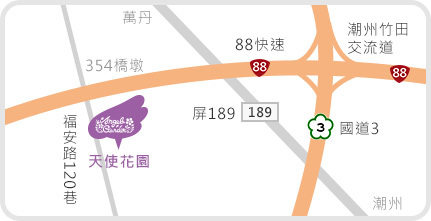 ●Take the 188 county road from Kaohsiung's southbound Expressway No.88 (just eastbound) and walk for 5 minutes below the 88 elevated road to the pier number 355. ●From Chaozhou North - Chaozhou 189 County Road to Wan Dan direction, Yushanlong gas station (on the left) left to Da Liu, along the 88 elevated below 2 minutes to the pier number 354 turn up to reach.